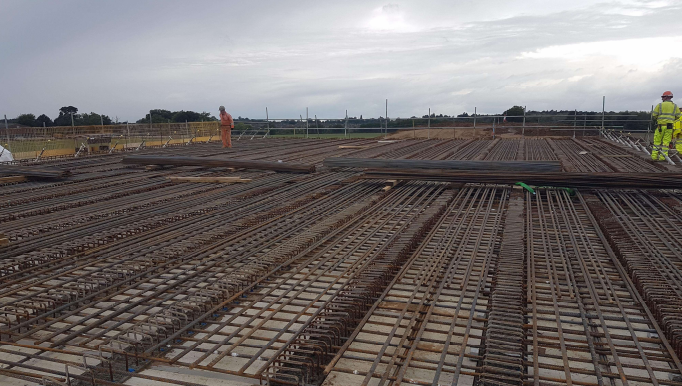 It can be seen that whilst the design was delivered in the traditional way, with 2d drawings, a 3d model would have been much more useful to find any problems with the reinforcement and any steel fixing problems. 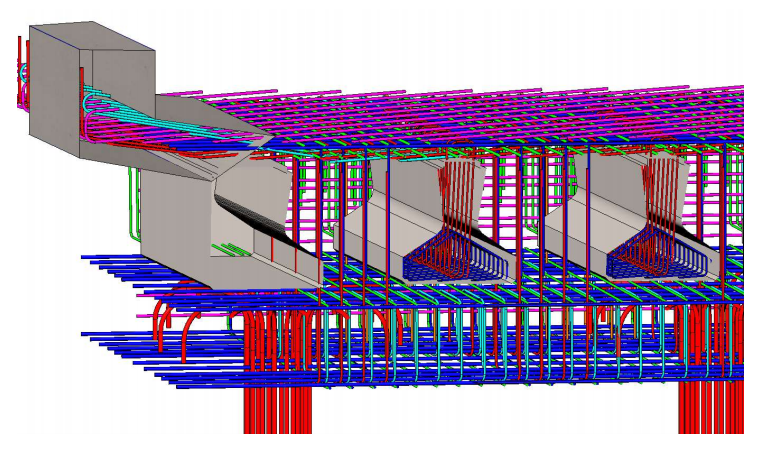 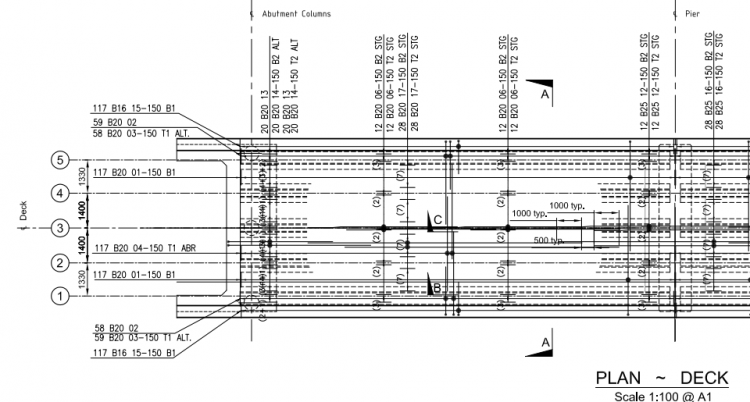 We used the 2d drawings, together with the bar bending schedules to create 3d models of the bridges at crucial interfaces, such as the deck and the diaphragm and the beams and the deck. 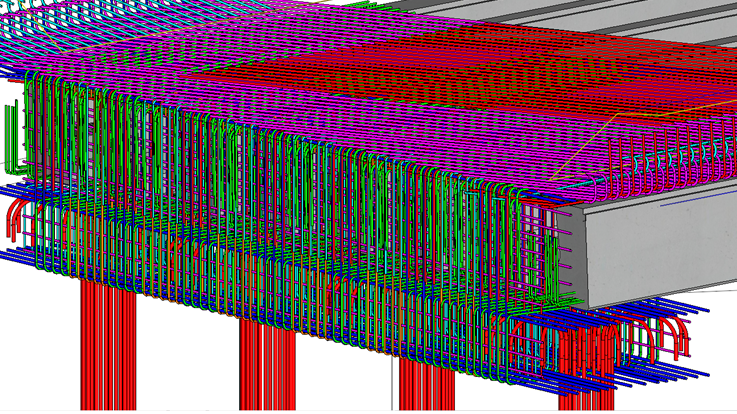 The models we created allowed the steel fixers to find problems that weren’t immediately obvious from the 2d drawings and request changes in the design to make the steel easier to fix. 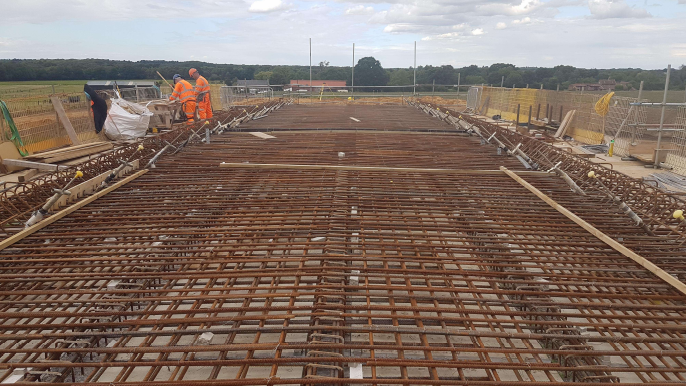 Since we carried out the modelling exercise the reinforcement for all of the bridges on the Norwich Northern Distributor Road has been installed and the concrete poured. 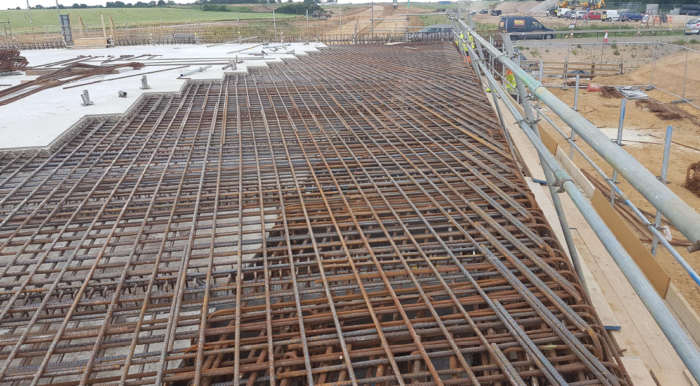 A few photographs of the reinforcement being fixed are shown below, demonstration the complexity of the reinforcement and the problems the steel fixers faced.